PRODUCT DESCRIPTION: Yellow bar about the size of a candy bar that slowly evaporates. 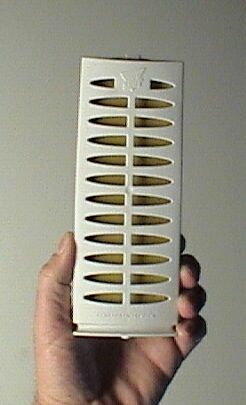 This evaporation releases vapona into the air in small enough amounts to kill most flying insects. The bar sets in a plastic holder which is hung in area you want to treat. WHERE TO USE IT: In the home in small closets or rooms. Does not work well in vast areas. RATE OF APPLICATION: One bar per room that is 10' wide by 10 feet long by 10 feet tall.